To address these risks and help ensure a steady supply of energy to homes and businesses, a Washington State University mathematics professor has received a $200,000, three-year National Science Foundation (NSF) grant to examine worst-case impacts of increasing uncertainties in power flow—such as from renewable energy sources. 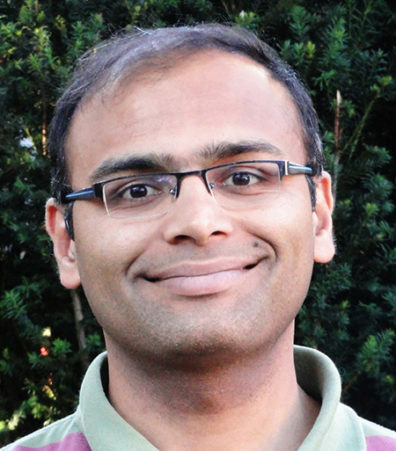 Bala Krishnamoorthy, associate professor in the Department of Mathematics and Statistics at WSU Vancouver and an expert in non-linear systems and optimization, is using algebraic topology and convex analysis to develop efficient algorithms for producing robust versions of power flow. He is also developing new methods to approach optimal power flow problems. 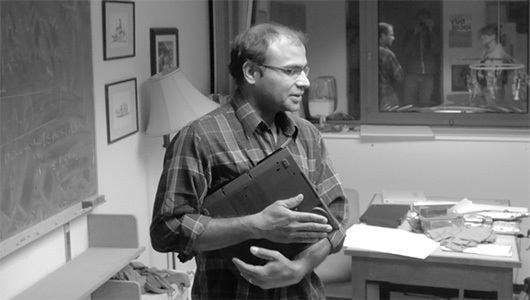 Krishnamoorthy’s research model aims to ensure voltages and power flows across energy networks stay within acceptable limits despite various contingencies, such as loss of a generator or transmission line, and other uncertainties, including shifts in demand and fluctuating inputs from wind or solar. He also seeks to quantify the controllable assets in the system, such as traditional generators, that are needed to ensure energy demands can be met at minimum cost. “Knowing the limits of controllable assets could be critical to the ability to keep the lights on in your home at all times,” he said. The novel framework will combine rigorous guarantees, efficient algorithms, and the capacity to handle nonlinearities. Such a framework is essential for operating modern power systems that bear significant uncertainty, Krishnamoorthy said. While the research will apply mainly to energy systems—such as the power grid—Krishnamoorthy said the mathematical methods he is developing will be “fairly general” and could be scalable and applied to problems in other domains, such as gas distribution networks. “More broadly, this project could have a direct impact on how complex and large-scale infrastructure systems are handled, especially under increasing uncertainties created by the environment,” he said. “Obtaining grants from the NSF Mathematics programs has become increasingly competitive,” said Charles Moore, chair of mathematics and statistics at WSU. “It is highly commendable that Dr. Krishnamoorthy will be developing new mathematics that would also help solve real-world problems,” he said. Krishnamoorthy’s preliminary work on this project began last year in collaboration with Krishnamurthy Dvijotham, then a research scientist at Pacific Northwest National Laboratory and now with Google LLC.